Take your business to the next level by attending South America’s only international vape expo. Exhibiting at Vape South America help you build brand recognition and popularity. Each of our events host over 15,000 vape shops, smoke shops, wholesale distributors and consumers. This gives you the opportunity to grow your customer base internationally. You will be able to sell your products to both consumers and business owners at the event. We’ve had many exhibitors sell out of all the products they brought in a few hours. We organize our events in prime travel destinations, including Colombia, Peru and Costa Rica, so our exhibitors and sponsors can enjoy their trip to our Vape South America events. Vape South America is the first and only vape expo organizer in South America. 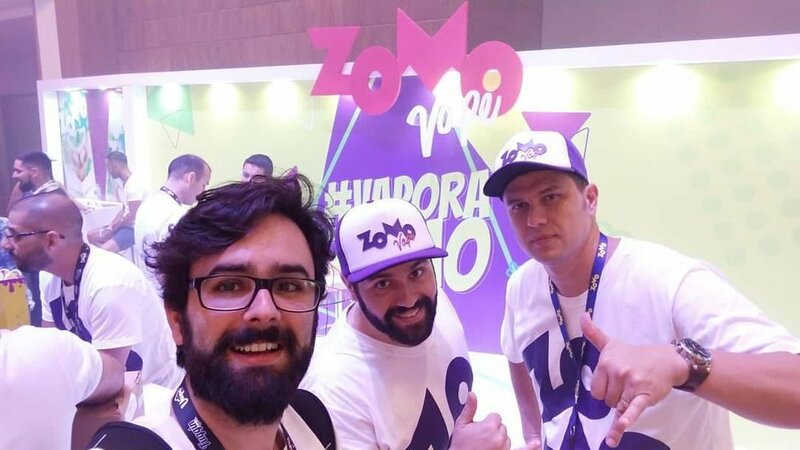 Exhibiting at our vape conventions is the fastest and most effective way of selling your vape products to shops and consumers in South America. Like and Follow Vape South America on social media to stay updated on news, info, upcoming vape events & more! Our company VapeConventions.com is an international trade show organizer that hosts vaping expos/vape conventions in countries around the world. Our goal is to grow the vape industry and its culture in areas with a high demand for tobacco alternative products, as well as areas that haven't yet been exposed to these products. This gives our exhibitors and sponsors the opportunity to be first to market. Join us at Vape South America Expo 2019: We will be organizing a number of Vape South America events in 2019, and the hype is building fast. Join us in Medellín, Peru, Paraguay and other South American countries with a booming vape market. Don’t miss this years largest international upcoming vape expo events, and get in touch to book booth space, sponsorship or tickets today!